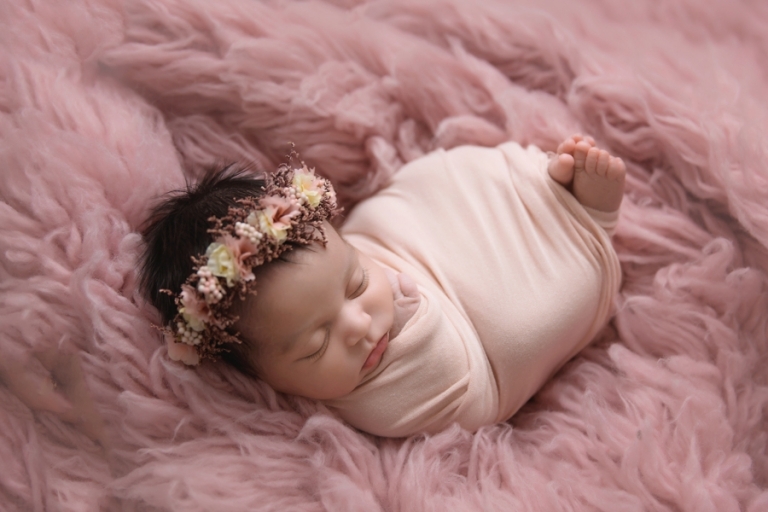 Welcome to the Medina Ohio newborn photographer blog, Miss Ava Grace! This session was really special, not only for me but for Ava and her family as well. Ava’s momma contacted me a month or so ago, hoping to schedule a newborn session for a baby that they were planning on adopting. Adoption is a wonderful gift, and while it can be nerve wracking, I am SO happy that it went as planned. 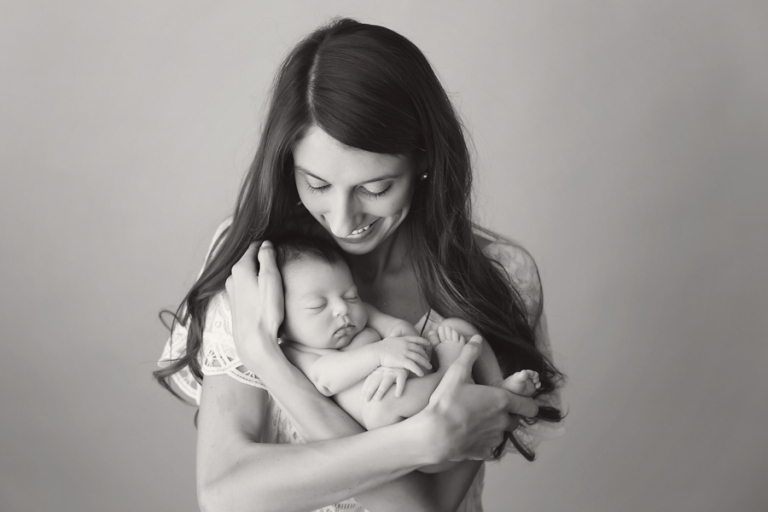 Ava has an absolutely wonderful family, I could just feel the love and awe as her momma watched her newborn session. The love that this little girl will have is insurmountable. Ava’s nursery is pink with florals. I think we were meant for each other! Of course I can take that and run with it! Oh, momma is just glowing! I am so incredibly happy for them! She could not have been sweeter, and really, seeing something as joyful as this occasion, made my year. Could she be more stunning??! Ava’s hair and lashes are to die for! She was such a sweet little peanut, coming in at six pounds. And she was so good to me, I really just wanted to snuggle her all day! This bunny by Mary’s Knittin was requested by Ava’s momma. It’s so soft and sweet, the perfect lovie for a sleepy baby. 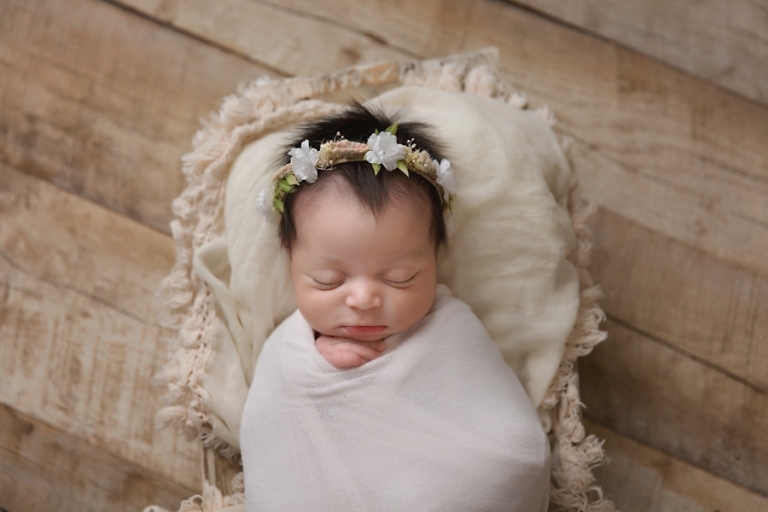 Did you know that all props, blankets, and wraps are provided for your newborn session? It’s true! Your session will be styled based on your taste and preferences. I love creating sessions just for my clients! Thank you so much for stopping by the blog! 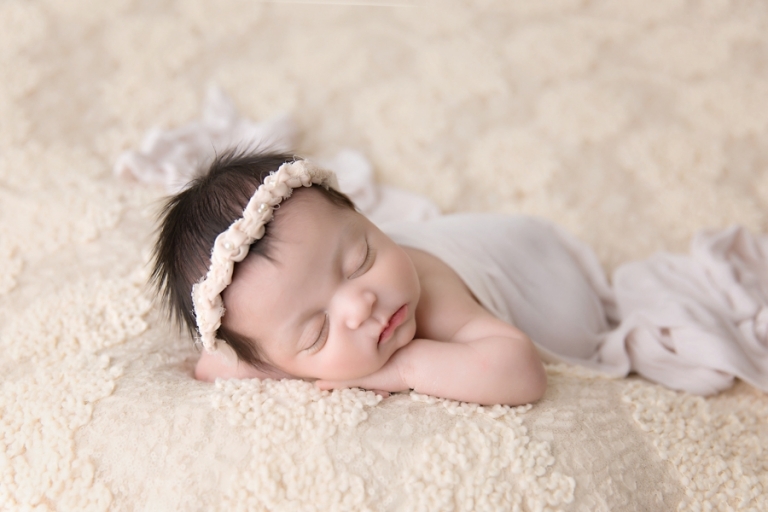 Looking for a Medina Ohio newborn photographer? Please check out the portfolio and similar sessions on the blog. The best time to schedule your newborn session is while you are expecting, but occasionally I can take a last minute session.